A recent report revealed that the number of people killed in truck accidents in the U.S. rose in 2014. Every year, thousands of people lose their lives on roads and highways across the United States as a result of truck accidents. Sadly, the number of people killed in such collisions rose in 2014 – for the fourth year in a row. According to the U.S. Department of Transportation, 3,964 people were killed in truck accidents in 2014. That figure includes not only the occupants of the truck itself, but also those in other vehicles involved in crashes with a large truck and even more vulnerable road users, such as bicyclists and pedestrians. In all, the number of fatalities caused by truck accidents rose one-half of a percent since 2012. While that figure may seem small, in comparison, the number of all traffic fatalities in the United States declined by over 3 percent during the same period. Unfortunately, in many cases, truck accidents that cause serious harm are actually preventable. Commercial truck drivers are one of the groups most likely to drive while fatigued, according to the Centers for Disease Control and Prevention. Recently, some high profile accidents have put fatigued truck drivers in the spotlight. Specifically, an accident involving comedian and actor Tracy Morgan was reportedly caused by a drowsy truck driver last year. According to the National Highway Traffic Safety Administration, approximately 2.5 percent of all auto accidents that result in a fatality in the U.S. are caused by fatigued motorists. In addition, drowsy drivers cause about 2 percent of all motor vehicle accidents that result in personal injuries. To avoid drowsy driving, the Centers for Disease Control and Prevention recommends a number of guidelines. One of the most important steps an individual can take to avoid driving while fatigued is ensuring he or she gets a sufficient amount of sleep each night. The National Institutes of Health recommends that adults sleep for seven to eight hours every night. In addition, motorists should always avoid consuming alcohol or taking medications that cause drowsiness before getting behind the wheel. Also, those that suffer from sleep disorders – such as sleep apnea – should seek medical treatment. Whether truck drivers are fatigued or otherwise negligent, those who cause collisions with motor vehicles should take responsibility for the damage done in the crash. 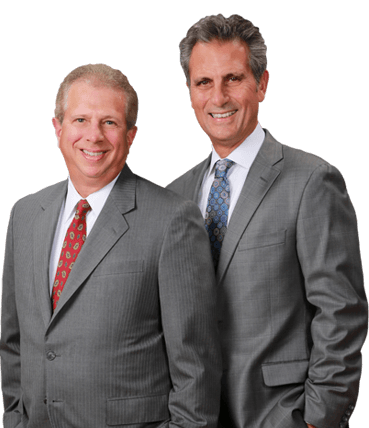 If you or someone you love has been involved in a truck accident, you need the counsel of a skilled personal injury attorney. A legal professional will work on your behalf to help ensure you can cover the inevitable expenses following a truck accident, such as medical costs and lost wages.